November | 2015 | Sing. Dream. Hope. Pray. With gratitude and love, we honor you. My father was 21 when he joined the United States Army. Assigned to the 775th Field Artillery Battalion, my father was deployed overseas. 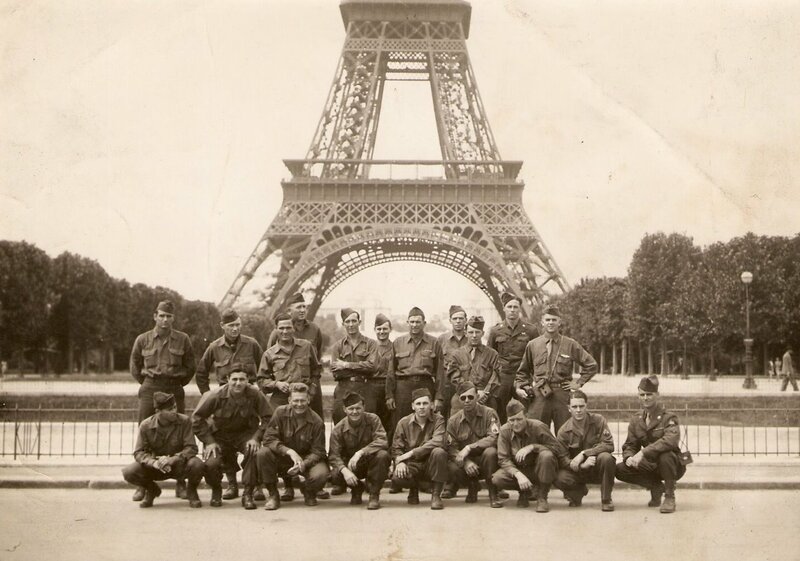 He initially arrived in le Bastion de France before going on to fight in what Winston Churchill labeled as “undoubtedly the greatest American battle of the war,”—the Ardennes Counteroffensive. This battle is more commonly known as the Battle of the Bulge—a phrase coined by contemporary press to describe the way the Allied frontline bulged inward on wartime news maps. Blessedly, my father survived the Bulge or I obviously wouldn’t be here to write this post. But sadly, I never had an opportunity to thank my him for the sacrifice he made for the greater good of our family, our country and the world at large. My father’s life was unexpectedly cut short at age 49, when he suffered a massive stroke shortly before Thanksgiving of 1970. I was six years old when he died Thanksgiving day. 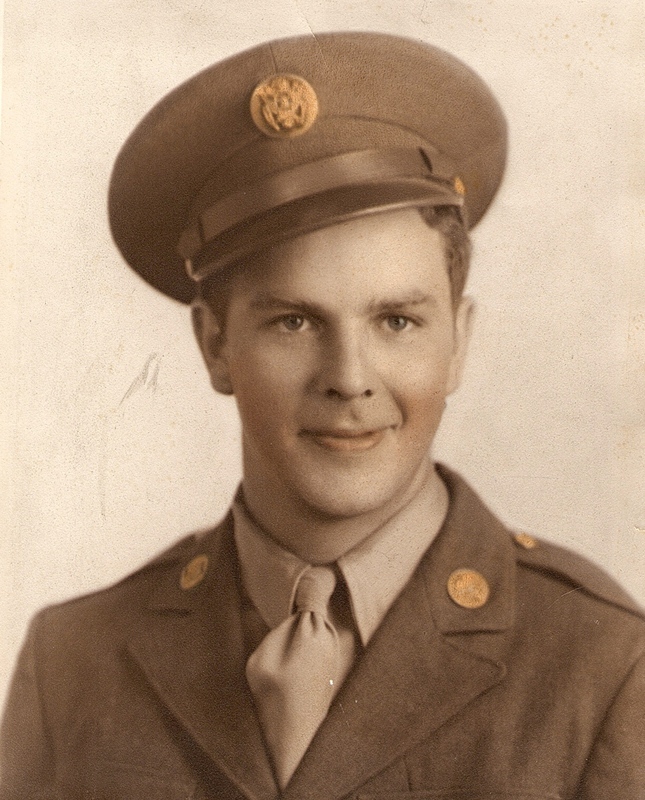 Therefore, I’m dedicating this post to the memory of my father, the 20,000 Americans who lost their lives fighting alongside him, and to the countless men and women before and since his time, who’ve sacrificed so much protect our great nation and preserve the liberty and freedom we so often take for granted. With gratitude and love we honor you. Thank you. 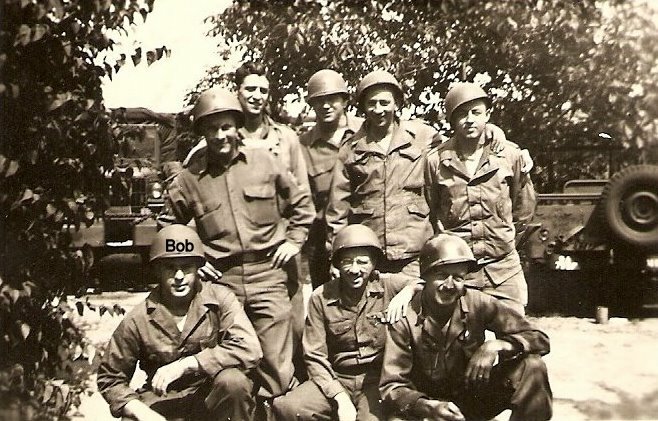 This entry was posted in Family and tagged Armed Forces, Army, freedom, gratitude, Second World War, service, United States, Veterans, Veterans Day, World War II on November 11, 2015 by Bobbie DuBose. The above photo was snapped during a recent biking event. 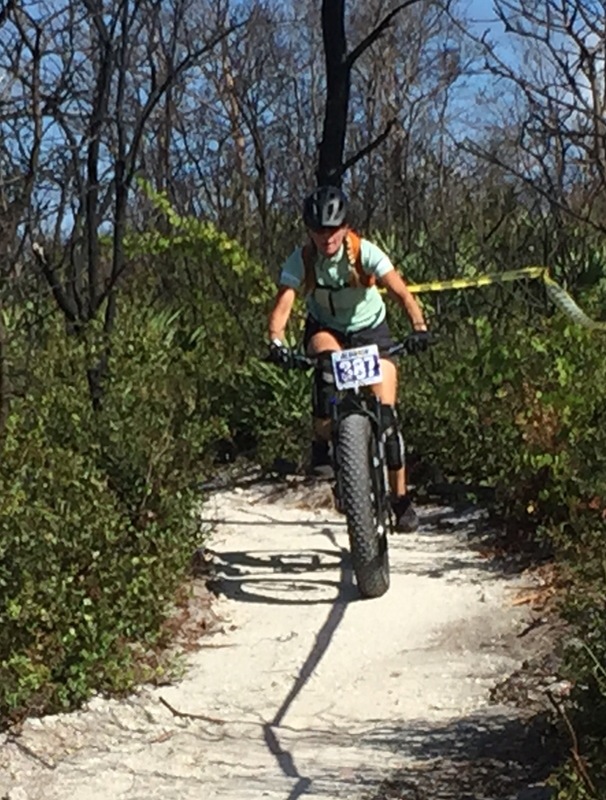 I was participating in a time trial hosted by our local off road/mountain biking organization, Club Scrub. At first blush, this photo depicts nothing really, except perhaps sheer determination. It represents no great achievement for me personally except that I finished what I started. I came in fourth out of four participants in my time trial class (sport). Like the Olymics, there are only three podium positions in our club’s time trials. The eight plus mile singletrack ride took every ounce of energy I had. The day was unseasonably hot–88 degrees with 62 percent humidity resulting in a “feels like” temperature of 93 degrees. Yes, it was incredibly hot, and I gave the ride every last drip drop I had within me, but the heat offered no excuse for the defeat I felt. The time trial was humbling. I don’t mean in an, “Oh, I’m so humbled…blah blah blah…” empty platitude kind of way. I mean humbled as in: Oh! My! Gosh! I’m 51 and my competitors range from YOUNGER than my daughter to (much) younger sister, and I simply could not hang with them. I was so far out of my league I was in a different zip code. I had a lunch of humble pie that afternoon. This entry was posted in fitness, health and tagged acceptance, aging, bicycling, bikes, fifties, fitness, grace, Health, I am Specialized, letsridebikes, mountain biking, Specialized, Specialized women, wellbeing, women on November 10, 2015 by Bobbie DuBose.